Sauropod dinosaurs were the largest terrestrial animals ever. They all have the same basic body plan: large body with four walking legs, very long neck & tail, and a small head relative to body size. 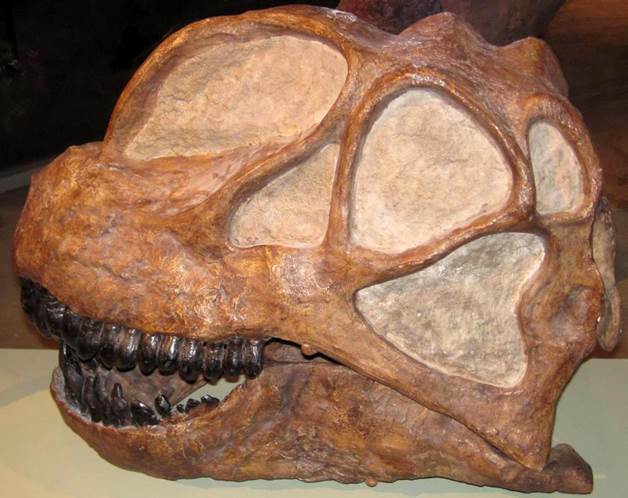 Sauropods were herbivores, and are often perceived as holding their heads & necks up high to reach vegetation normally out of reach to other organisms. Modern reconstructions of many sauropod species depict them with heads and necks held close to the horizontal, or at low angles above the horizontal. Camarasaurus skull (cast) from the Morrison Formation (Upper Jurassic) of Utah, USA (FMNH P 26230, Field Museum of Natural History, Chicago, Illinois, USA). Diplodocus longus Marsh, 1878 - skull (cast) from the Morrison Formation (Upper Jurassic) of Utah, USA (FMNH P 26228, Field Museum of Natural History, Chicago, Illinois, USA). Diplodocus carnegii Hatcher, 1901 - life-sized reconstruction on the grounds of the Carnegie Museum of Natural History (Pittsburgh, Pennsylvania, USA). 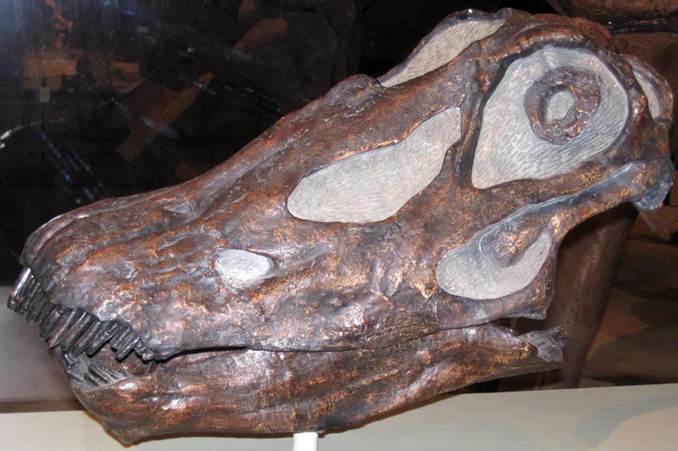 Fossil remains of Diplodocus carnegii come from the Upper Jurassic of western America.